In early 2013 I had been working in the marketing and communications office of an art college and museum but hit a turning point where I knew my time there was finite and I was on the verge of starting something new. I knew I needed to shed my full-time job to be able to focus on my passion project, but I also had no illusions that it would pay me, at least not for at least the first two years. I did have some part-time contract work that I could count on, but it wasn’t going to be enough to supplant my salary. So when the time came to actually quit my job, I decided I would freelance as a design project manager (which is what I’d been doing full time) to make ends meet. I handed in my notice, packed up my desk, and said goodbye to my coworkers of three years, rejoicing in my newfound liberation from that pesky nine-to-five. Except that things didn’t quite go according to plan. For one, I spent a little too much time on a honeymoon with myself. It ended up being about three months of vacation mode where I didn’t have a care in the world. Second, I found a sum total of one—ONE!—project to work on that paid me, and it was for the same museum I was working for previously, just a little contract for a supplement to some exhibition materials. It’s usually pretty obvious when we need to take leaps in order to make progress toward our dreams. But how we prepare for those leaps depends largely on how well we anticipate what it’s going to take to make them successfully. This anticipation and preparation needs to touch on a lot of disparate factors: raw math, planning, peer support networks, relationship maintenance, skill development, and even psychological well-being—going from a day job where you work around others constantly to working by yourself at home is a huge transition in both environment and work ethic. Side note: Major professional leaps don’t always look like quitting a full-time job, but it’s one of the most common examples. As you may or may not know, I also have a business as a professional event producer. I’ve been working on one particular event for the last six years, and it’s done wonders for helping me build my skills, learn about the event world, and I’ve even developed some deep friendships with my peers along the way. A few months ago, I decided that despite the security and despite the benefits, I needed to walk away from producing that event in order to continue to grow my business. This was far from an easy decision to make, and I did so without having any projects lined up to replace it in 2019. That was SCARY. I took a huge leap and a huge risk—but I did it anyway, because I knew that’s what was going to be best for me and my business. I may not have known how I was going to continue to pay my bills next year (and I sure as hell knew I wasn’t going to lean on my husband’s income again like I did when I quit my job), but I knew that it needed to be done and that I’d be doubly motivated to find the work and meet my goals. We take risks in our business all the time, some bigger than others. And in the case of large transitions and major decision making, the risk stakes are WAY higher than more commonplace decisions. With a lot of risk comes a lot of uncertainty, but in most cases, clearing out the old and taking the leap makes room for good things, new things, better things to replace it. Kimberly Taylor-Pestell is the owner of Lacelit, a watercolor-illustrated and hand-lettered stationery and home goods business based from her home in Monrovia, California. She started Lacelit a little over 5 years ago as a side hustle—something she took on in addition to her full-time job to explore her own creative pursuits. Lacelit has grown slowly and surely over these last five years, but really started to gain momentum more recently. Earlier this year, she decided it was time to give up her stable, enjoyable full-time job—a job where she had close friendships with her coworkers—to take Lacelit full-time. I couldn’t wait to talk to Kimberly about her decision-making process, transition into working from home (and by and for herself), some of the planning she did to get there, and a few of the lessons she’s already learned along the way. She and I discussed what pieces of the puzzle she explicitly planned for and put into place to feel comfortable leaving her job, confronting the personal and relationship pressure she felt to succeed, adjustments work routines, and how she’s dealt with leaving one strong sense of community at her job and finding community in other areas of her life. I think you’ll really learn a lot from what she has to say. Kimberly is the artist and owner of Lacelit, a greeting card and home goods company featuring whimsical illustration style paired with hand-lettered phrases of poetic wordplay and sentimentality. Lacelit is all about sending intentionality through the post and creating starting points for meaningful connection through letter writing and gift giving. Having discovered her passion for art several years after college and a degree in psychology had come and gone, she is mostly self-taught and delights in the imperfect lines of illustrating freehand. Her work can be found online and in brick-and-mortar shops, and has been featured in "Stationery Trends Magazine," "Maker’s Magazine," and Jet Widick's "Sage Words" and "Sage Spirit" books of poetry. 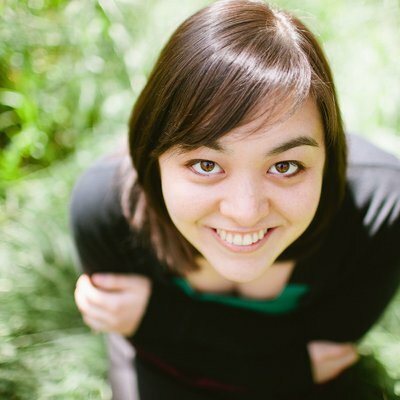 Kimberly resides in Monrovia, CA with her husband, Jason, and their calico tabby. She enjoys blogging, knitting, needle punching, reading novels, and throwing the occasional epic theme party just for kicks. In this episode, Kimberly mentions her love of Katie Hunt’s Tradeshow Bootcamp. You can learn more about that by clicking here. Kimberly also mentions participating in the @artstew52 challenge and community.